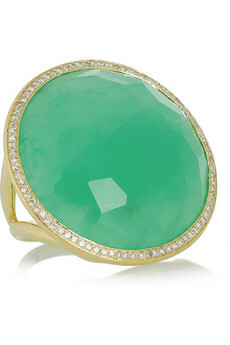 I am currently obsessed with this apple green gem; Chrysoprase Chalcedony. The color just looks so candy-like and screams " SPRING", which i have always adored. 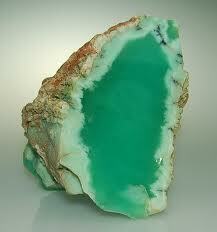 Chrysoprase has also really cool healing benefits! Some of which are said to endow you with the alertness and wit to draw attention to random coincidences. It brings you a sense of security to encourage independence. Chrysoprase also gives you a feeling of contentment to be your own person, and to be satisfied with your own accomplishments. It aids a betterment of our attitude over all. Physically, it is said to remove heavy metals from one's body, and to aid in acne and other skin imperfections. I can't wait to receive shipment of my chrysoprase chalcedony now! It's in the mail! A little peak into my pad.